You can play Call of Duty’s campaign how you want. Want to start at the beginning? Fine. Want to skip right to the end? That’s also fine. In fact, you can play the campaign missions in whatever order you wish – missions are all unlocked from the start. The studio isn’t just making changes to the campaign, Treyarch are determined to make Black Ops 3 their best PC game yet. Inan interview with Eurogamer,Jason Blundell, Black Ops 3’s campaign and Zombies mode director, said Treyarch made the decision to give players more choice:”It gives them the flexibility to consume the content how they want. The unlocking level system is an archaic mentality we’ve had since we did bedroom development back in the day – you do this, then go on to the next one. In a series famed for twisting your head to make sure you’re looking at the expensive set-piece fireworks, more choice can only be a good thing. If you’re anything like me, you probably blast through the campaign once and never touch it again. With this system, you could skip levels that frustrate if you were so inclined. With a story that touches on Snowden-style leaks and Jensen-style body augmentations, I’ll be playing through chronologically anyway, if only to see how the series tackles these new themes. And obviously to try all the future guns. 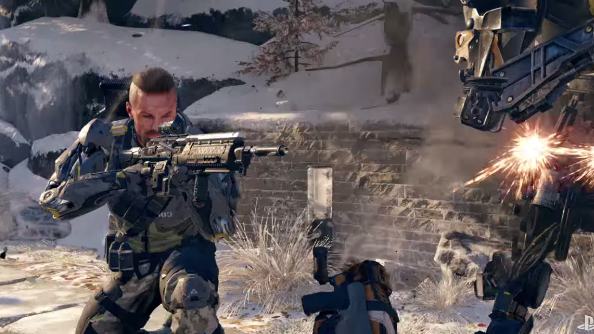 Speaking of the future, Black Ops 3 releases on November 6.